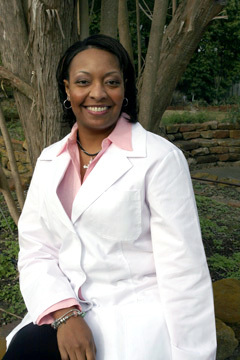 Dr. Carol White graduated high school in Houston, TX, and went on to receive her undergraduate degree at Prairie View A&M University in 2000. She earned her doctor of dental surgery degree from Meharry Medical College in Nashville, TN in 2004. Dr. White did a general practice residency program at Meharry Medical College where she served as the chief resident. She has worked for Carus Dental for the last seven years, where she served as the clinical director for their Woodlands office. She thoroughly enjoys helping her patients achieve a beautiful smile, but strongly believes that a healthy mouth is the foundation for a beautiful smile. Dr. White is also a member of the American Dental Association, Texas Dental Association, and the Brazos Valley Dental Association.